Lexington, KY - Katherine Bateson-Chandler knows talent when she spots it. Two years ago a young KWPN gelding, Alcazar (Contango x Ferro) caught her eye at a barn in Holland. Alcazar was just turning seven years old, and now is blossoming into a talented young FEI contender with a quick mind and large personality. “You don’t get these sort of horses every day, maybe once in a lifetime. It’s very hard to find good ones,” Bateson-Chandler says. “The quality is so much higher today. You can find 70% horses, but they’re not good enough for the top levels any more. 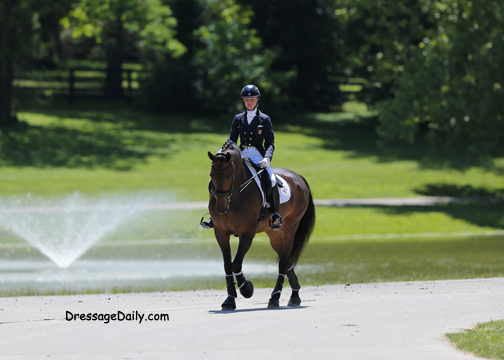 You need 80% horses, and that means you have to start them when they’re young and grow with them.” During the 28th Annual Kentucky Dressage Association CDI held May 24-25, 2014, Bateson-Chandler and Jane Forbes Clark’s Alcazar proved they are heading in the right direction by winning both FEI Intermediate I-2 classes, scoring a 73.6% the second day to clinch the FEI High Score for the show. 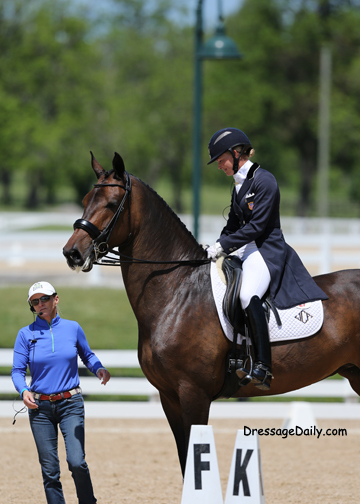 The CDI***was the perfect stopover on the way to Gladstone New Jersey for the 2014 USEF National Dressage Championships where she also brought Jane Clark's Grand Prix mare Wellnetta out of vacation after a busy winter season in Florida. 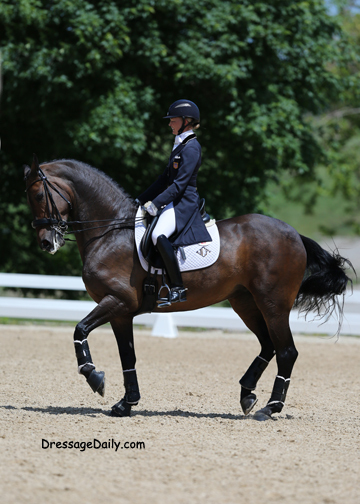 Bateson-Chandler also proved that she and Wellnetta, an 11-year-old KWPN bay mare by Hexagons Louisville out of a Rubiquis mare, also owned by Jane Forbes-Clark, are putting the pieces of the puzzle together to be very strong contenders at Gladstone for the USEF Festival of Champions. Wellnetta finished 2nd in the CDI3* FEI Grand Prix Open and also pulled a top finish with a rather enthusiastic Grand Prix Freestyle. “I’ve only had her for ten months so it’s been a quick getting-to-know-you time,” Bateson-Chandler said. 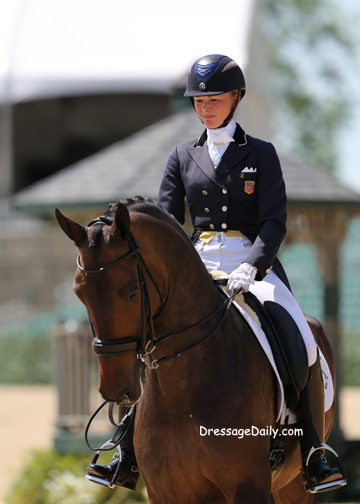 “We’ve shown Grand Prix three times, getting qualified for the USEF Dressage National Championships, which will be held June 11-15 in Gladstone, New Jersey. 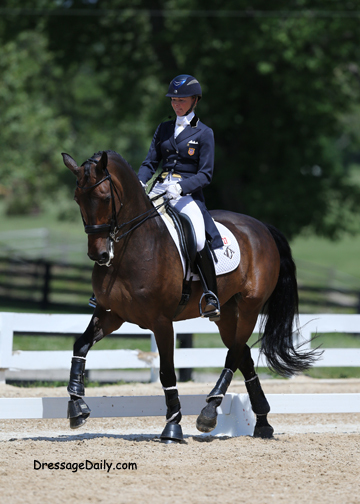 I hope to place in the top eight, then travel to Europe with the team to compete at Fritzens and Aachen. Wellnetta has a wonderful character and is a total overachiever, unique in the fact that she comes down centerline and tries twice as hard as she does in the warm up, a fantastic feeling. 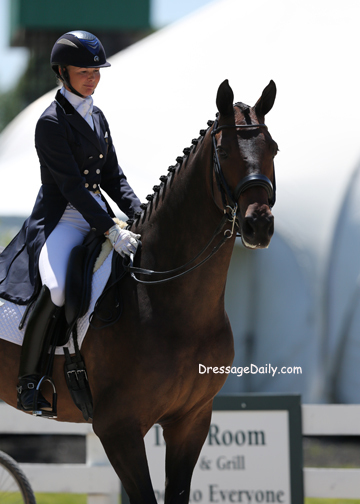 Born in Britain, Bateson-Chandler trains with Carl Hester in England. She became an American citizen and is based in Wellington, Florida. She’s ridden for owner Jane Forbes Clark for nine years, taking over from Robert Dover for whom she was an assistant trainer for several years. “I know how lucky I am and thank Jane every day,” said Bateson-Chandler. 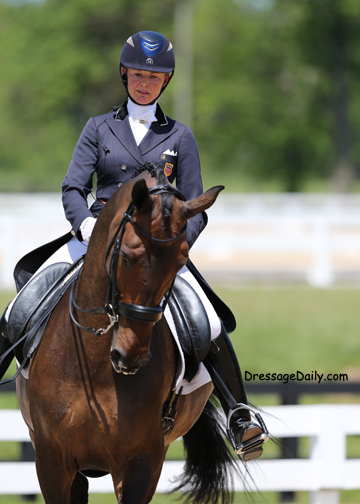 “I was really thrilled with both horses in Kentucky," said Chandler, no stranger to the Rolex Arena at The Kentucky Horse Park, where in 2010 she competed for the USA at the Alltech/FEI World Equestrian Games. "Wellnetta enjoyed a few weeks’ rest in Florida, so I was so happy she could come off a little holiday and be as honest as she was,” added Katherine. "It’s a real testament to her character. She has so much energy and enthusiasm for her job, it makes me smile while I'm in the ring! She was almost a bit too exuberant in my freestyle and she thought it was a party and everyone had come to see just her.” Bateson-Chandler expects that will be just the extra spark they will need in June for a top finish at Gladstone!